Bisphenol A, or BPA as it is commonly known, is ever-present in today’s society. It can be found in toys, vinyl goods, baby bottles, medical equipment and a lot of other everyday products. A recent study even showed that BPA is found in urine. The study showed that 92.6% of Americans have BPA in their urine. The USFDA has declared BPA to be safe as long as it is consumed in small amounts only. However, new research has showed that a person gets exposed to more than the minimum dosage of BPA everyday, far exceeding that of the safe dosage. An excess in the intake of BPA can lead to diabetes, liver problems, reproductive problems, breast cancer, heart disease, miscarriage and prostate cancer. With these possible health effects, it would be wise to reduce one’s daily BPA intake to as low as possible. As much as possible for food, avoid using plastic containers that have the No. 7 recycling label. Choose those which are labeled Numbers 1, 2 or 4 instead, as they are safer alternatives. 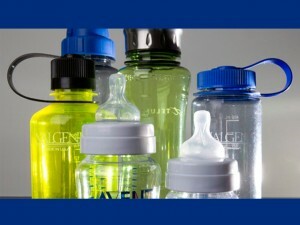 If it is available, choose plastics that are free from BPA. Although these plastics may be more expensive, they are certainly worth the money as they will not be able to give the body more harm than BPA plastics will. In heating food, use glass or ceramic dishware as heating food in plastics increases chemical leaching. As much as possible, choose frozen or fresh food products. Canned foods have a high possibility of having high BPA content due to contamination. This is because the linings of canned foods contain BPA, which may contaminate the food contained in the can. If it cannot be avoided, rinse canned food first before heating as it can decrease the amount of BPA present.